The Box is made of sheets of slate with a loudspeaker inside. Via a socket it is possible to connect a microphone to the loudspeaker and talk into the box. From the outside one cannot hear the speaker in the box. So, the sounds stay inside the box like in an immaterial recorder. They can stay there forever. 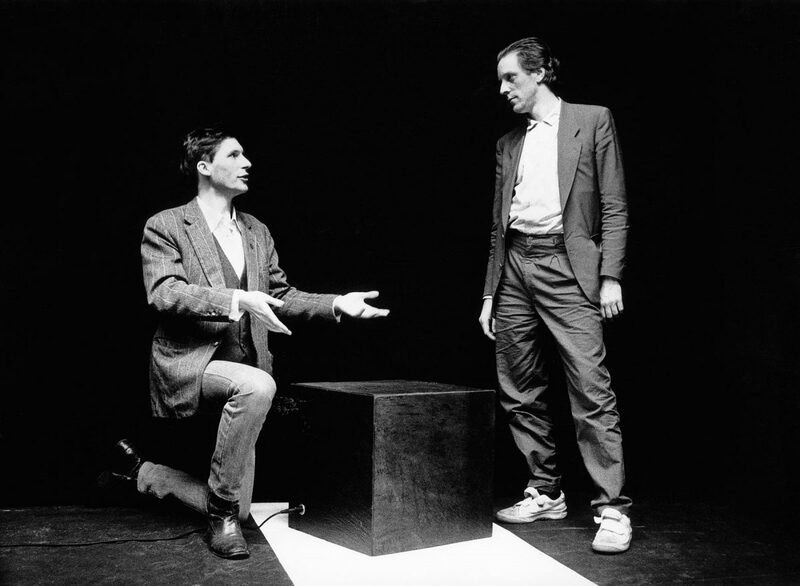 The Box was shown for the first time in Munich 1985. It was placed in a lockable room with a microphone connected to it. A guard had the key for the room and a guestbook. People could have him open the door and he would wait outside taking care that noone would disturb. One could speak secrets or wishes into the box and was asked to sign in to the guestbook. It was originally planned to ship The Box with the space shuttle into space as an eternal memory of mankind. First contacts with NASA were made when the terrible Challenger accident happened, which made it impossible to realize the project.